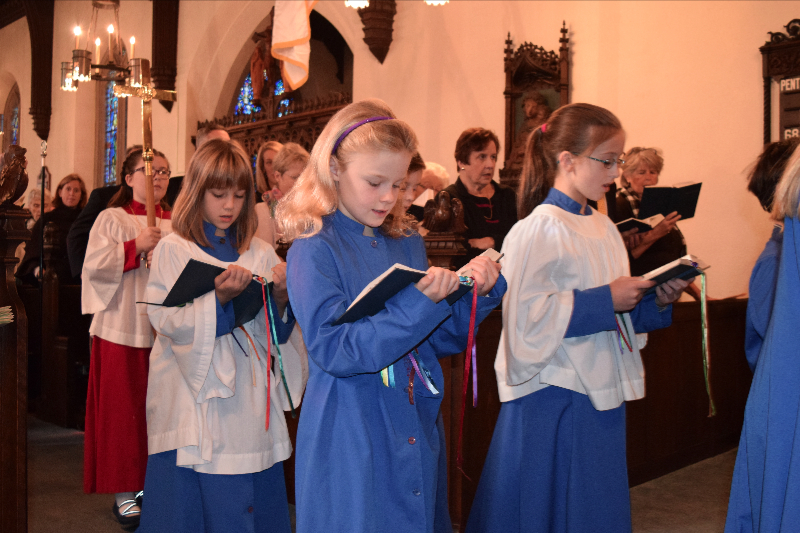 At St. John’s, music has always played an important role in our liturgies and parish life. Music serves the church and parish in many important ways – to sing our praise to God, Father, Son, and Spirit, to beautify and add a wonderful solemnity and joy to our liturgies, and to help people pray. We can come to church in joy, trouble, meditation, or feeling depressed or unwell, and music can lift our souls far beyond our earthly cares and to the very throne of God. Music shakes the very dust off our souls! Music also spreads the message of Christ and can lead others to the church, whether in an organ recital, instrumental concert, or our song/prayer at liturgy.